During today’s proceedings at the Apple vs. Samsung patent infringement trial in Northern California, an internal Apple email came to light, where Senior Vice President of Internet Software and Services Eddy Cue suggested that the company manufacture a 7-inch tablet, anticipating a market for a smaller slate. The email reportedly dates back to January of 2011, and was sent to Scott Forstall, Tim Cook and Phil Schiller, according to The Next Web. All Things D added that the topic originated with an email from a reporter, who shared that they had switched to a 7-inch Samsung tablet from the iPad, because they found the smaller size of the Tab more appealing. Cue reportedly agreed with the findings, and made his own suggestion. That email hasn’t led to a smaller form-factor iPad to date, but with rumors heating up around an upcoming “iPad Mini,” it’s possible that Apple’s compact tablet could one day arrive. And Cue was right — there’s clearly demand for a 7-inch tablet. 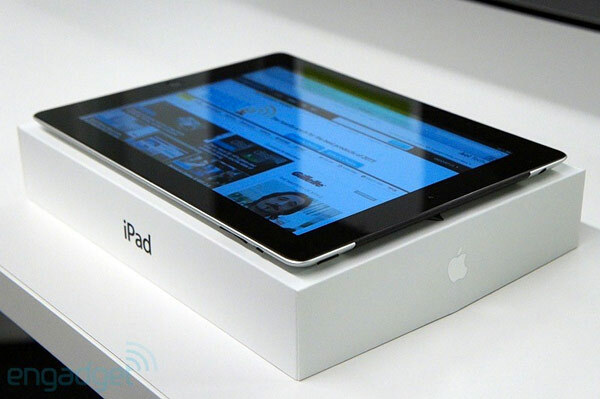 Apple SVP Eddy Cue wanted 7-inch iPad in 2011, internal email says originally appeared on Engadget on Fri, 03 Aug 2012 17:25:00 EDT. Please see our terms for use of feeds. While it hasn’t actually started to roll out yet, one of our readers sent in pics of a Verizon FiOS survey gauging reactions to a new device that “may be available in the future” as the FiOS Companion tablet. As described in the survey, it’s a WiFi-connected Android slate that not only runs the usual apps, but also works as universal remote control and streams “select” TV channels (probably the same ones as the Xbox 360 app) directly to its screen. The sole picture included confirms we’re looking at the Motorola Corvair 6-inch Android 2.3 tablet that surfaced late last year with all of those features, home automation tie-ins and a 4000mAh battery. The survey questions don’t reveal much else about its capabilities or potential pricing other than asking users if they would be interested in customizing their own home screen, and how. We’d hope the software has seen some updates since its original leak, but knowing this market that seems unlikely. All we can do now is help Verizon / Motorola with that customer research they were hoping to perform so let them know — is this something you’d be interested in? 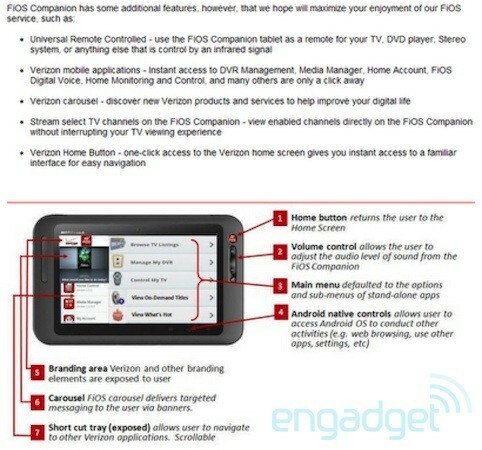 Verizon survey reveals FiOS Companion Android tablet, aka the Motorola Corvair originally appeared on Engadget on Fri, 03 Aug 2012 16:56:00 EDT. Please see our terms for use of feeds. It feels like it was only yesterday that BLU was keeping us slightly occupied with its Studio 5.3 and TouchBook 7.3 devices, which, as you may or may not know, left us with somewhat of a bittersweet taste in our mouths. Still, the past is the past, and now the company’s back for more with the recent revelation of its Vivo 4.3 handset; one the company’s loudly dubbing as the “world’s first dual-SIM smartphone with Super AMOLED Plus.” Regardless of any global, self-induced titles, the 4.3-inch Vivo appears to offer some interesting features of its own, including that aforementioned Super AMOLED Plus screen, a 1GHz, dual-core Cortex A9 CPU, dual-SIM capabilities and a tweaked flavor of Android 4.0. What’s best, however, is BLU plans on selling the Vivo 4.3 unlocked in the US next month for $250, while additional availability is “soon to follow” through Latin America and some parts of Asia. 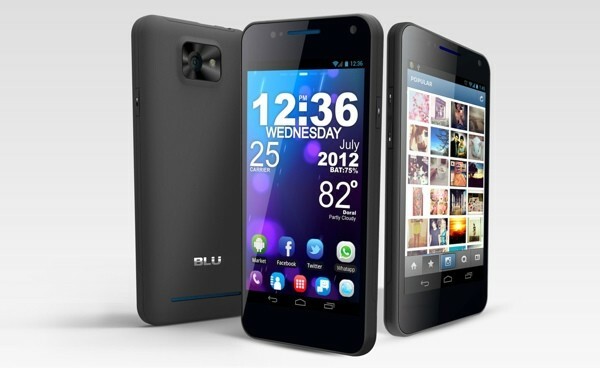 BLU Products intros Vivo 4.3, says it’s ‘world’s first’ dual-SIM smartphone with Super AMOLED Plus originally appeared on Engadget on Fri, 03 Aug 2012 16:19:00 EDT. Please see our terms for use of feeds. This entry was posted on August 3, 2012, 5:36 pm and is filed under Mobility. You can follow any responses to this entry through RSS 2.0. Both comments and pings are currently closed.